Sugar-free isn’t the same as carb-free or calorie-free. While some sugar substitutes are carb-free, most have carbs. 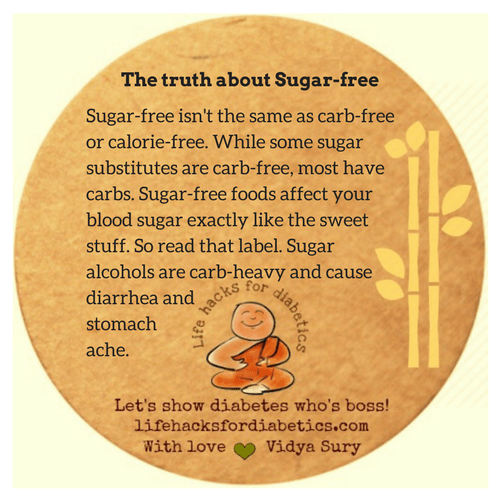 Sugar-free foods affect your blood sugar exactly like the sweet stuff. So read that label. Sugar alcohols are carb-heavy and cause diarrhea and stomach ache.